Miami, Florida (olaladirectory) October 12, 2017 – Featuring world-class craftsmanship in the production of a wide range of home hardware, fixtures, and bathroom faucets, ANZZI™ offers products that are designed for excellence and durability. Incorporate in 2017, ANZZI™ has crafted a philosophy centered on an enduring legacy of quality, inspired design, and trending innovation. With the aim of transforming the everyday bathroom setting into a personal oasis, ANZZI™ has come up with the new line of exquisitely crafted and ergonomically engineered CAVALIER series toilets. The CAVALIER is designed for maximum comfort and made with RHINO ALLOY certified vitreous china. “The elegantly modern design houses a powerful 1.6 GPF single flush system which significantly saves on water but does not sacrifice power for performance. With ANZZI™ you will get a high-performance toilet with Flush & Forget reliability,” stated the spokesperson of ANZZI™ in an interview. 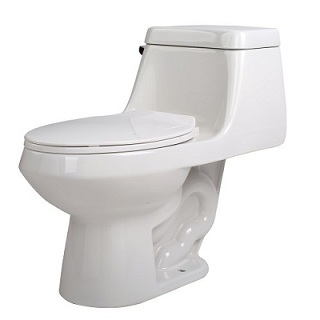 This product features two-piece toilets, soft close toilet seat, mounting hardware engineered for ADA compliance and comfort. The CAVALIER series toilets are certified for safety, reliability and water efficiency, and a reliable ‘flush and forget’ experience. “Equipped with cUPC and WaterSense technology, the CAVALIER series toilets come with a lifetime warranty,” added the spokesperson. ANZZI™ has the expertise and hands-on experience in creating high-end and luxury kitchen and bath faucets, shower systems, shower panels, stainless steel sinks, towel warmer and bathtubs which could be quickly labeled as marvelous works of art. They have an impressive collection of bathroom vanities and shower accessories for people looking for attractive bathroom vanities with good storage spaces. “ANZZI™ has incorporated the talents of the world’s most creative minds developing a concept of design that continuously breaks away from the mundane,” reported the spokesperson lastly. Being a leader in the industry, ANZZI™ has been specializing in the supply of high-end and luxury home hardware, kitchen and bath faucets, shower systems, and bathtubs created by some of the most respected designers in the industry. Visit http://www.anzzi.com/ for more information.